As the immediate future of Melissa Benoist’s Supergirl continues to hang in the balance, Deadline reveals the DC series could find a new home at The CW in time for season 2. 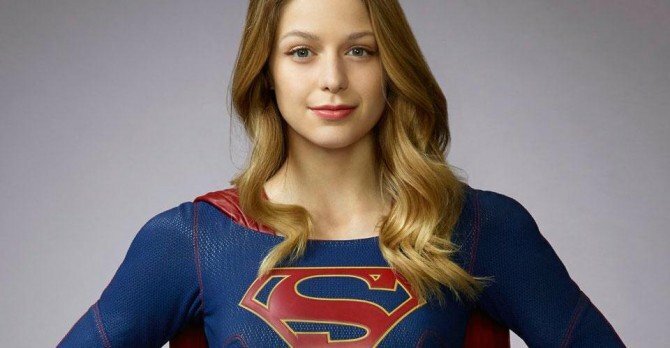 As the network that produces the likes of Arrow, The Flash and Legends Of Tomorrow, shifting over from CBS to The CW reads like a no-brainer for Supergirl, though it’s really the exorbitant licensing fees – reportedly clocking in at upwards of $3 million per episode – that could seal the switchover. Moreover, CBS happens to hold co-ownership of The CW with Warner Bros. Entertainment, and as The Wrap points out, Supergirl could well be better suited to the network’s target demographic. Either way, expect CBS to make an official decision in the coming weeks, with fellow freshman shows including Limitless, Code Black, Criminal Minds: Beyond Borders and the wholly disappointing Rush Hour also due to face the renew-or-cancel conundrum. Tell us, what do you make of the Supergirl renewal drama? And do you believe the Melissa Benoist-led origins tale is deserving of a sophomore run on the air? Sound off below and let us know.